We strive to create products that people really enjoy using and help facilitate a connection with nature. 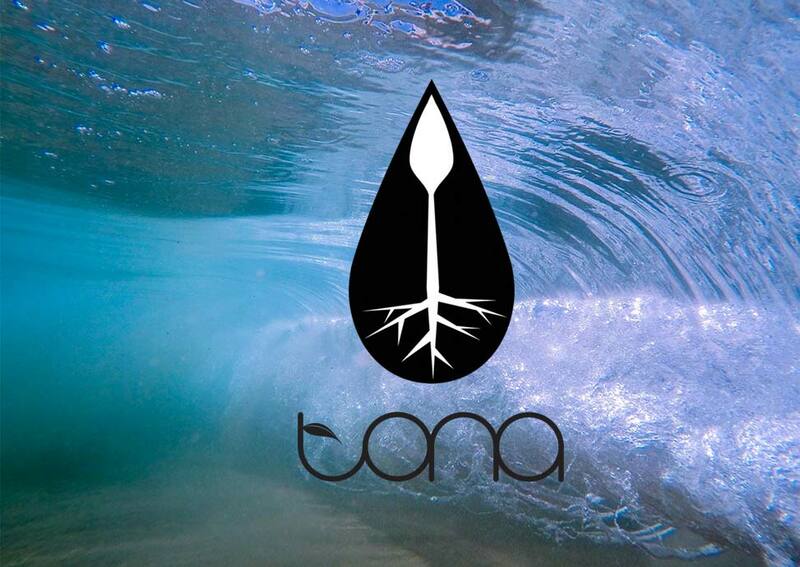 Tona came into existence after a few of us friends got together and decided to take our passion for board sports and create something that like-minded people would truly appreciate. We all came from similar backgrounds and were fortunate enough to be raised on an island where the ocean was our playground. 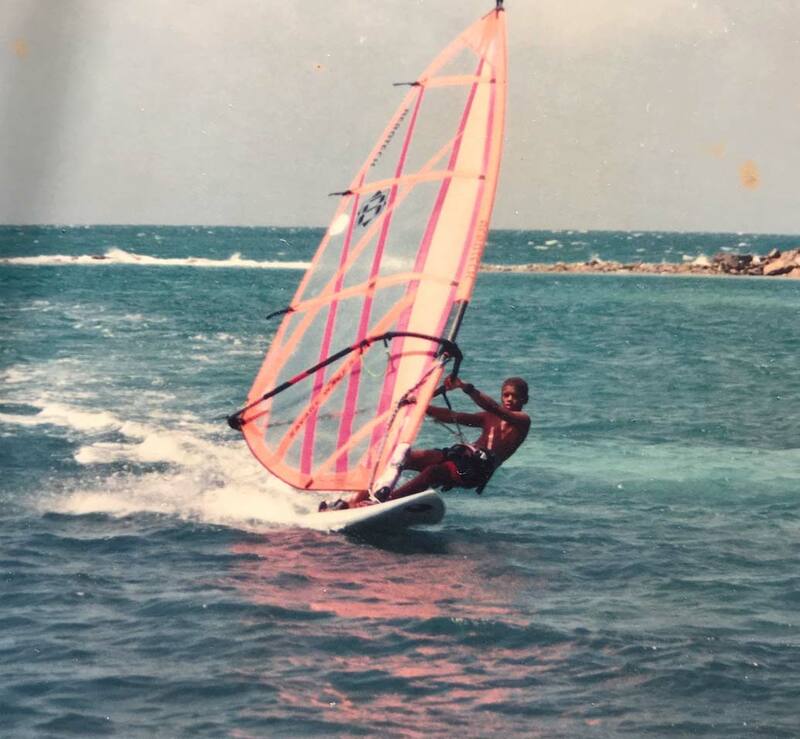 Living in Antigua with the ocean literally at our doorsteps, the draw to water sports was too strong to resist and our passion for riding boards is what brought us together and forged our friendships from a young age. As anyone who has ever been into riding boards knows there is a special type of camaraderie that exists in our world. Those of us who never quite found our pace in conventional sports felt at home when we discovered this alternative world that wasn't bound by rules or clocks or whistles. Like outcasts from a society that didn't make sense to us, we found our place and our pack and we ran with them. It's this passion for our sports and the friendships that we built along the way that inspired us to start Tona, a company that would produce boards and equipment that our fellow shred heads would be proud to own and ride. As riders ourselves we have always focused on design, function, and style, and so it has been our mission from the very beginning to make products that we love and know you will love, too. The design process typically begins by considering the needs and desires of the average rider along with our own. 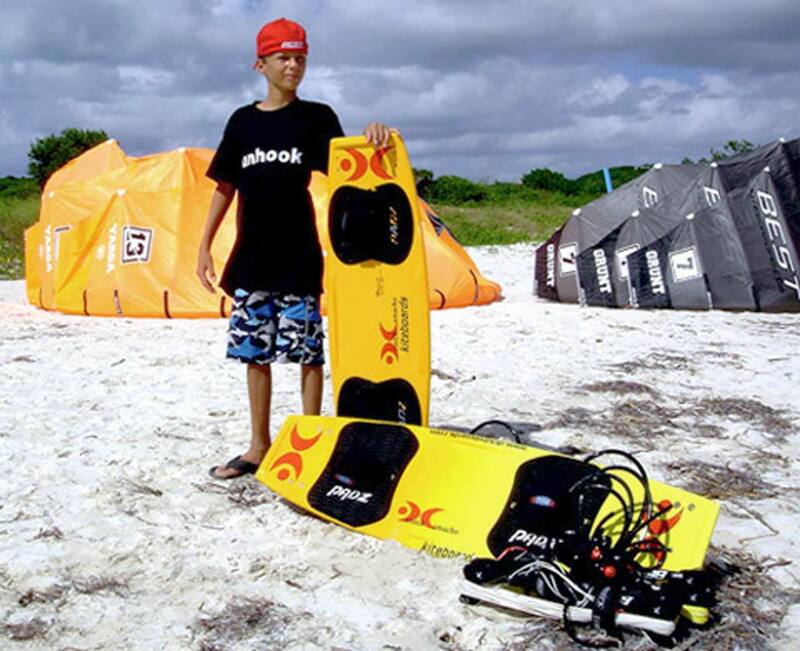 What makes a board or kite special to us? What features make it stand out from the rest, and how can we recreate this feeling? Once we hash out an idea amongst ourselves and agree on a concept that we want to pursue, its off to the shaping room where pencil meets paper and ideas begin to materialize. A prototype is developed and sent to the team in Antigua for testing and feedback. Having spent most of their lives riding boards and kites, Andre and Jake are extremely in tune with their equipment and possess a unique ability to relay precise feedback to Dereck, who does a wonderful job at translating their requests into the product design. Once everyone is happy with the performance and durability Adam’s turn to slap his artwork on top and give it the final Tona stamp, then its up to you to just add water. 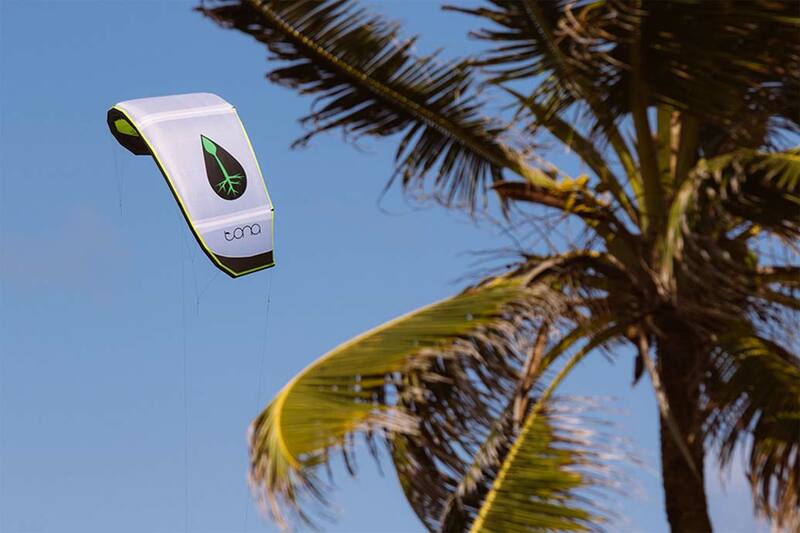 After years of designing and testing, we are proud to launch the first kite in our lineup!! The Stratus has been developed for any rider who wants one kite to do it all. Go out and boost, throw some freestyle, foil, cruise, teach a friend or even get out and bash some lips on your surfboard. The Stratus is the perfect all around kite. We begin developing our first ever kite. A long awaited moment for our loyal customers and something that we are most excited about. What does the future behold? 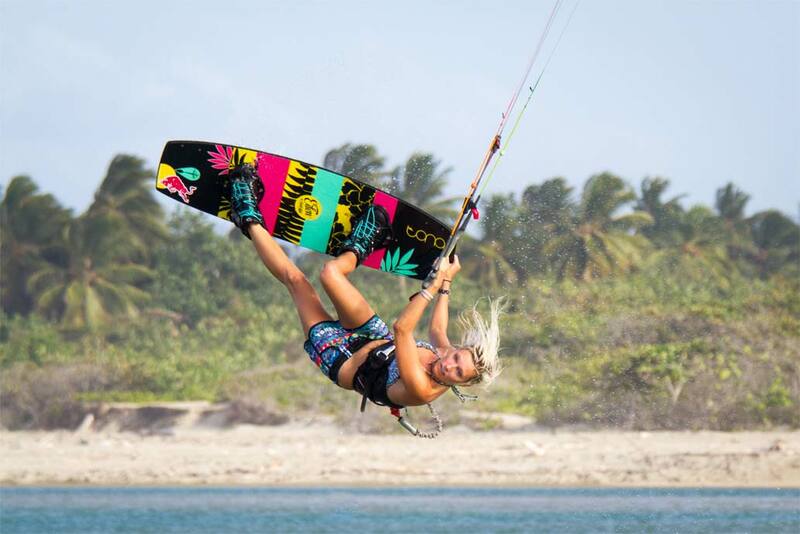 In a collaboration with Susi Mai, Tona introduces their first women's specific kiteboard, the Eden. The same progressive shape and outline as the Pop, with a foam core for reduced weight and added flex. Dre takes the Flow to the public. Armed with a board that compliments his smooth and effortless style of riding, winning the hearts of Tona fans worldwide. 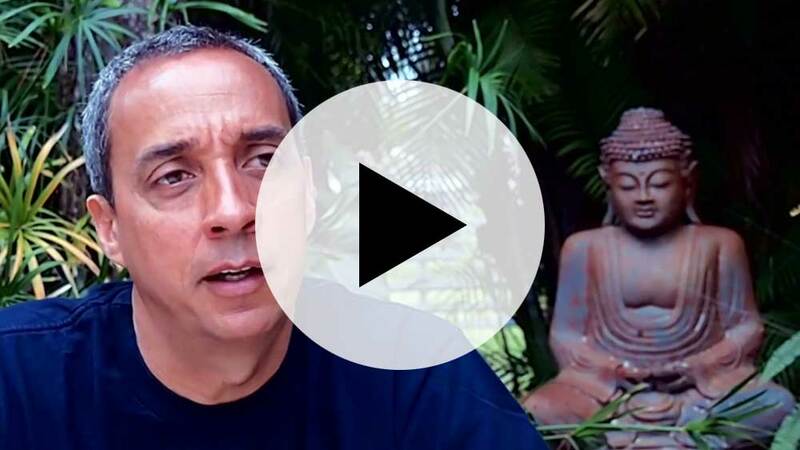 Dereck Camacho introduces you to Tona and the crew. Tona Boards, Pop vs Flow. Jake heads to the skies for his Wake n' Jake tour. Spreading the Tona stoke across Europe. 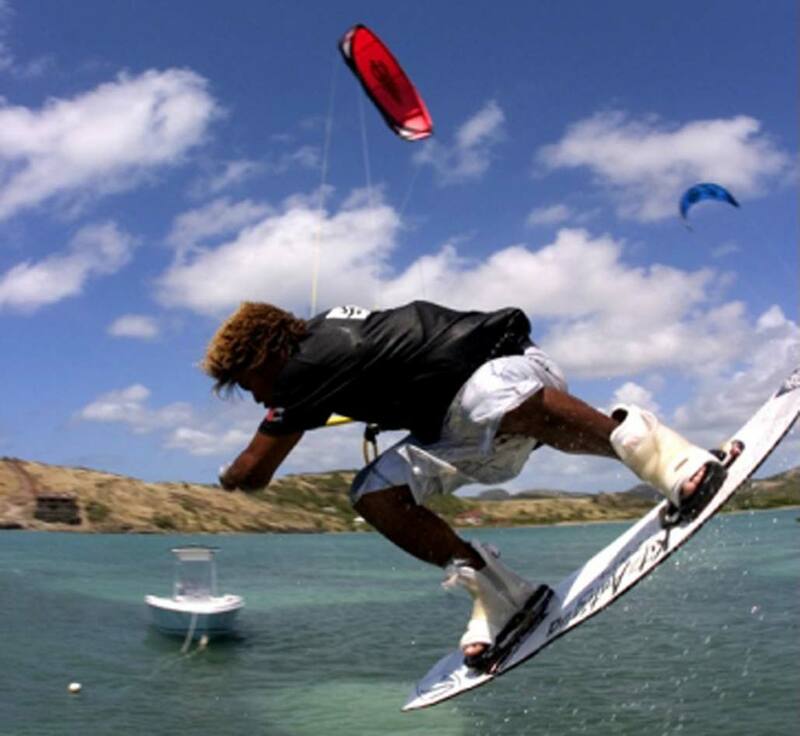 His first time traveling alone as a professional kiteboarder, he's well received and loved wherever he goes, and dominates some of the local competitions along the way. Dre and Dereck collaborate on the design of the "Flow." Once again bringing something really unique to the industry with the "hour glass" bottom shape and bold rocker line. 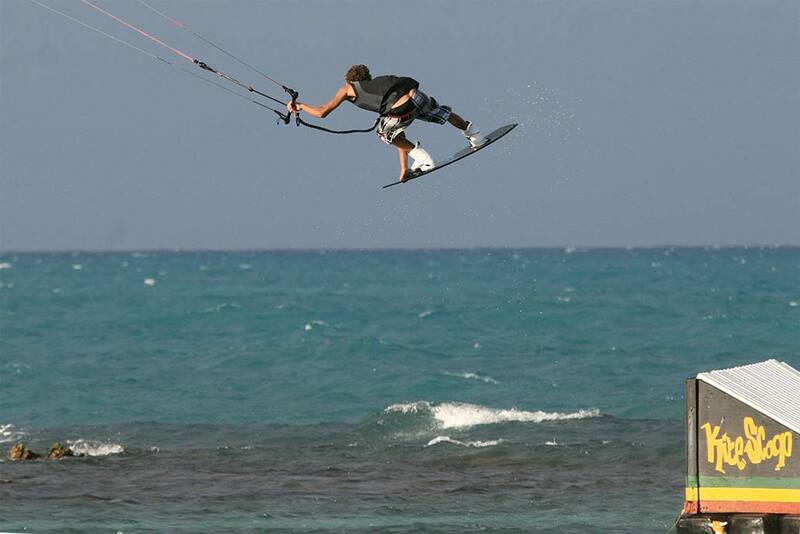 The Flow is widely considered one of the best crossover boards for kiting and wakeboarding, and will likely remain the preferred choice for kite and cable riders for years to come. After a few years of collaborating behind the scenes, Dre makes the move and officially joins the Tona team. The event represents a significant chapter in his and Tona's story, as he leaves behind a legacy with one of kite boarding's biggest brands and joins forces with his friends to help take their grassroots company to new heights. Aiming to satisfy the demands of their loyal Kite Scoop followers, Tona releases the "Driftwood" kite skate board. Jake is picked up by Tona at 17 years old and becomes their first sponsored rider. After months of R&D and rigorous testing the boys were stoked on a bold new bottom shape that was something truly unique to anything that was one the kite market at the time. The deep channels offered lots of grip and the double concave design and rocker line allowed the board to explode off the water. And so it was coined the "Pop." The board hit the market later that year and instantly makes waves in the industry. 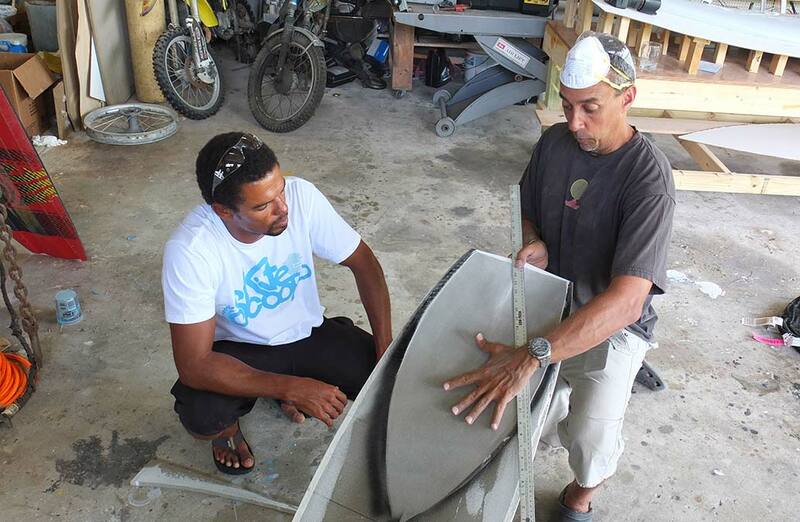 Dereck meets with Andre and Adam in Antigua to pitch the idea of starting a kiteboarding company. Tona is born soon after and Adam goes to work on creating the logo. The shape of the text is inspired by the long slender roots of the mangrove trees, something that ties together their beginning in water sports as well as their friendship. The water droplet signifies the source of life, a plant that was given life by a single drop of water. Or in this case, a company that was founded from a single common interest, our love of the ocean. After winning overall at the Triple-S Invitational in 2006, Dre would go on to take 1st in at least one of the categories in that event for the next 4 years. Elliot Leboe's "Autofocus" film is released. 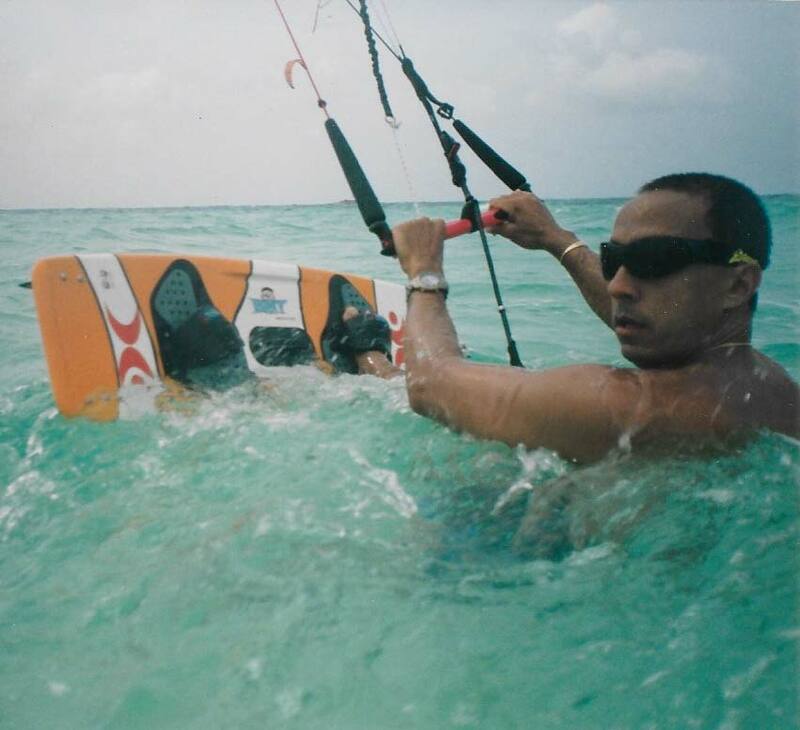 It was then and still is considered to this day to be one of the best displays of talent in kiteboarding, and Dre was at the foreground of that production. 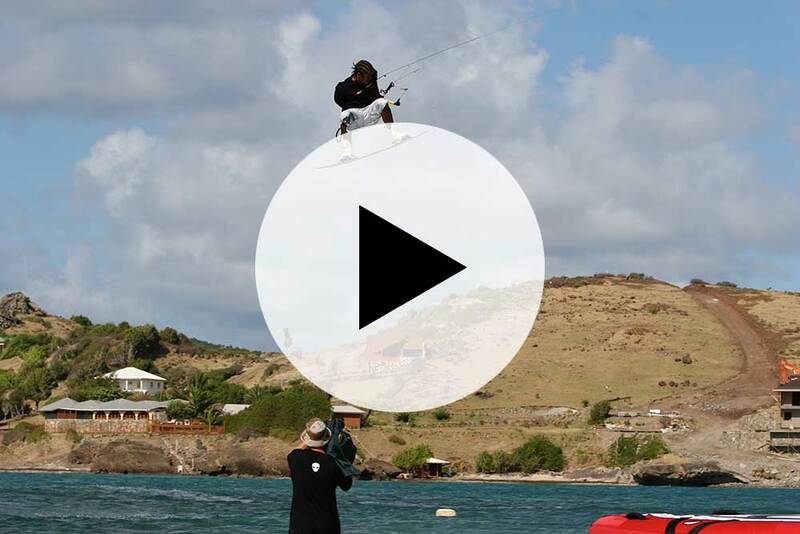 With his ending part in Autofocus as well as being voted #1 for a third year in a row by Kiteboarder Magazine, Dre had made his mark as one of the most stylish and influential kiteboarders in the world. After a knee injury forces Adam to take a step back from kiting, he spends his time dabbling in graphic design and launches the infamous forum, Kite Scoop. 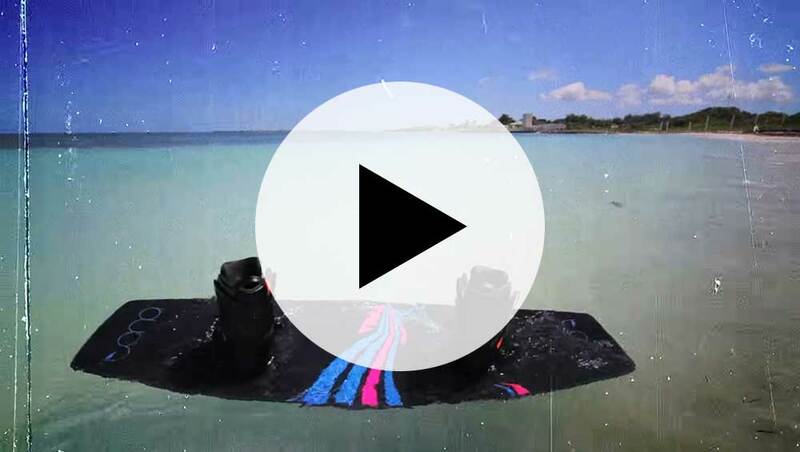 Together Adam and Dre help put together a collection of kite boarding videos and other media that promote what was then considered the underground of the kiteboarding world. Enter Jake to the stage. Jake is a direct product of Jabberwock Beach, and of course his protégé, Dre. At just 10 years old his dad, Russel, was bringing him to the beach every day after school. He basically owned the real estate on the inside of the reef and within a year was blowing the minds of passers by. It wasn't long before Dereck noticed him and started sponsoring him with DC Boardz. 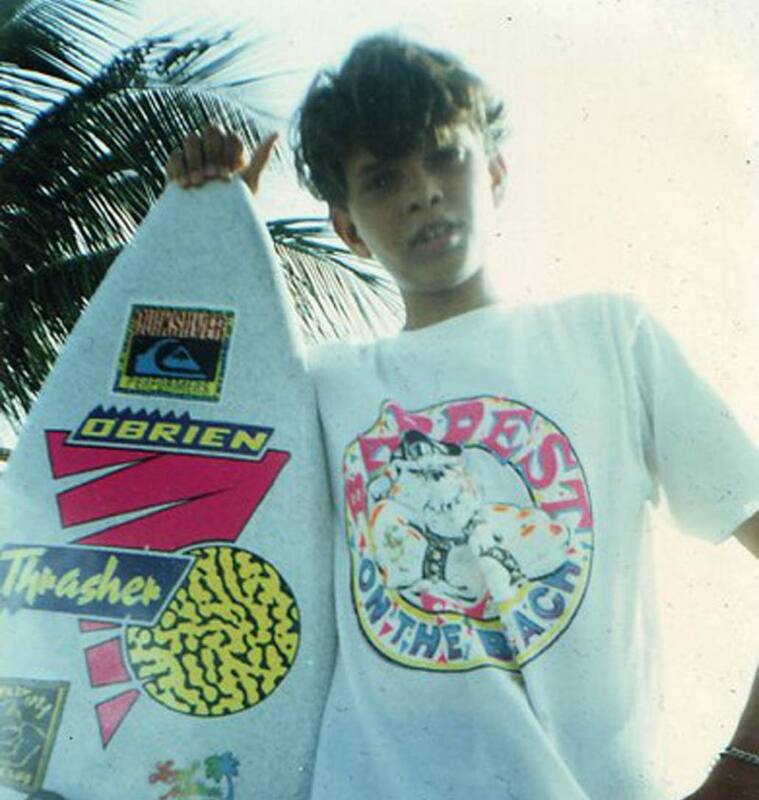 It was around this time that Dre was sponsored by Cabrinha and making waves on the PKRA Tour. He finished up 2003 ranked 2nd in the world. 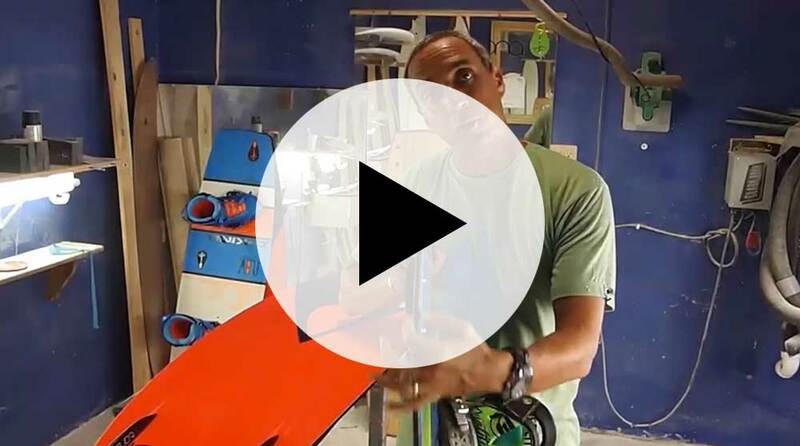 By now Dereck had been making custom kiteboards and surfboards, and formed his brand, DC Boardz. He was shaping for some of the FL crew like Damien Leroy, Jon Modica, and Shannon Best. 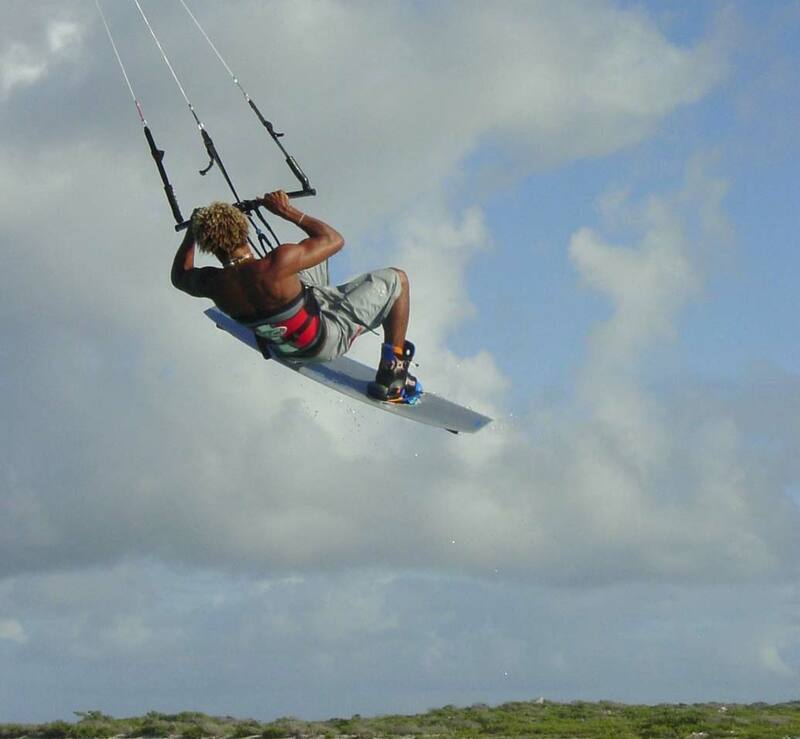 Within just a year of learning to kite Dre was sponsored by Kite Antigua while also instructing at the school. Alex Portman (one of the KA founders) saw the potential in him and thought he deserved a shot at competing on the world tour, so Dre went off to compete while Adam, who had just learned to kite himself, took over running the kite school. "along comes this crazy new sport..."
Like so many other watersports enthusiasts, the boys were blind sided by the birth of kiteboarding. Here they were, chasing wind and waves in the not so perfect conditions of their home towns, and along comes this crazy new sport that encompasses every discipline that they love and blends them all into one. Being able to harness the wind and ride in conditions that were far from favorable for windsurfing. To surf when its windy and onshore. And to wakeboard without the restrictions and economic challenges of a boat. It was only natural that the three of them would eventually be drawn to and completely engulfed by this sport. 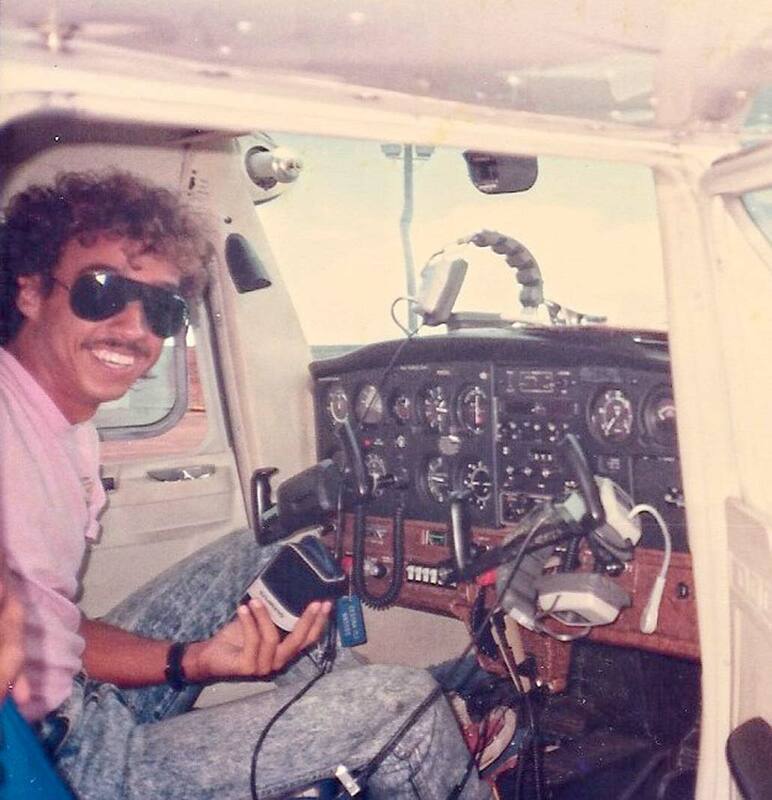 Dereck moves to the U.S. to continue flying. Adam sets off to college where he pursues his interest in art and graphic design, still wakeboarding and skateboarding as much as possible. 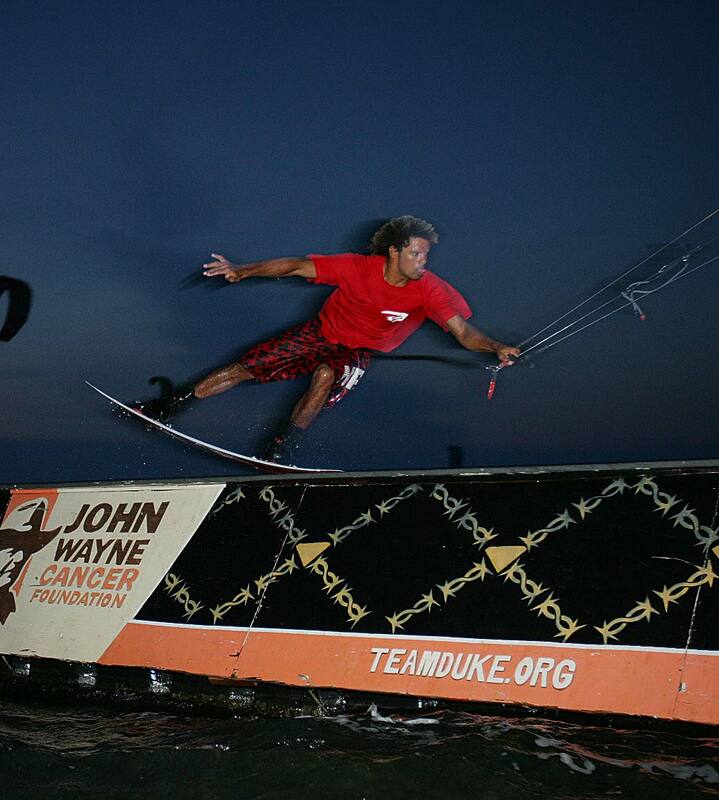 Dre is at home in Antigua, windsurfing and surfing while at college. 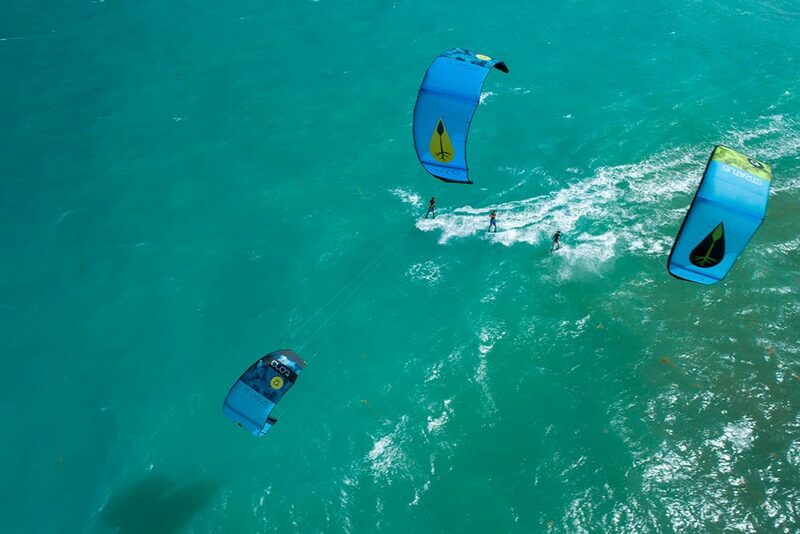 In just a few years their paths will merge once more with the birth of kiteboarding. Andre's first love was bmx, and it was through that sport that his passion for launching off ramps took hold. 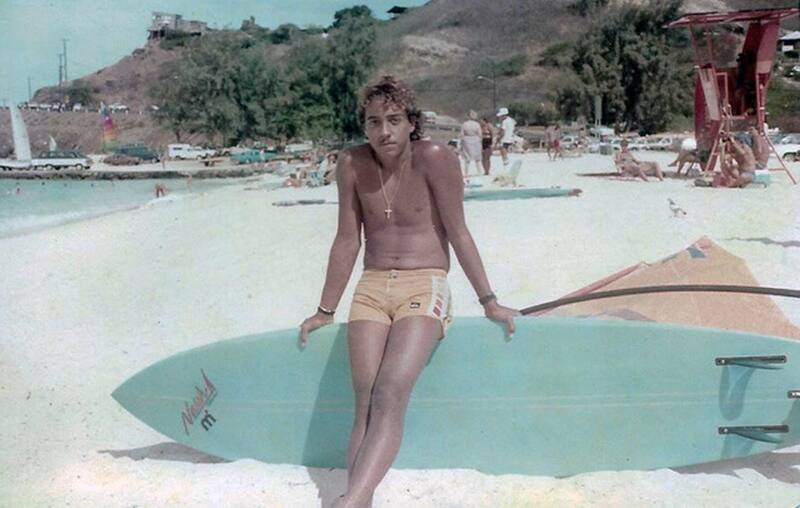 He would also occasionally go skurfing with his older brother and developed a love for water sports. 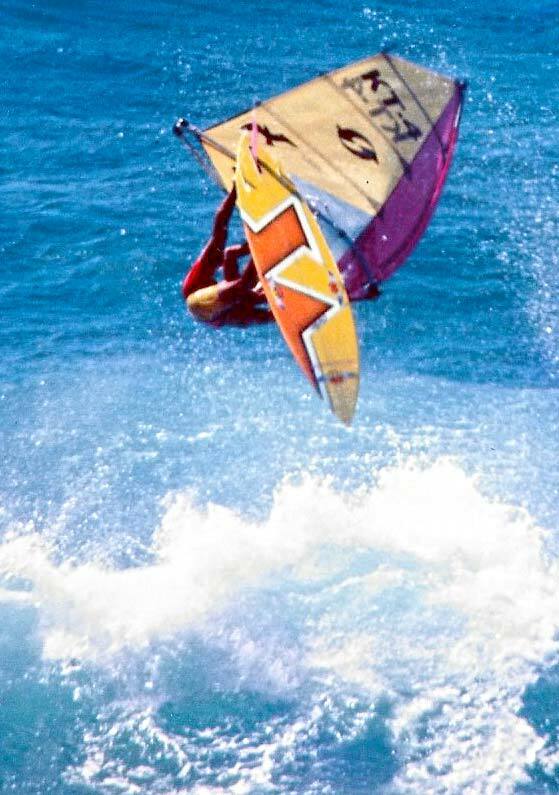 After getting hooked on windsurfing in the early 90's his focus eventually shifted fully to the ocean and that would set the precedent for the years that followed. 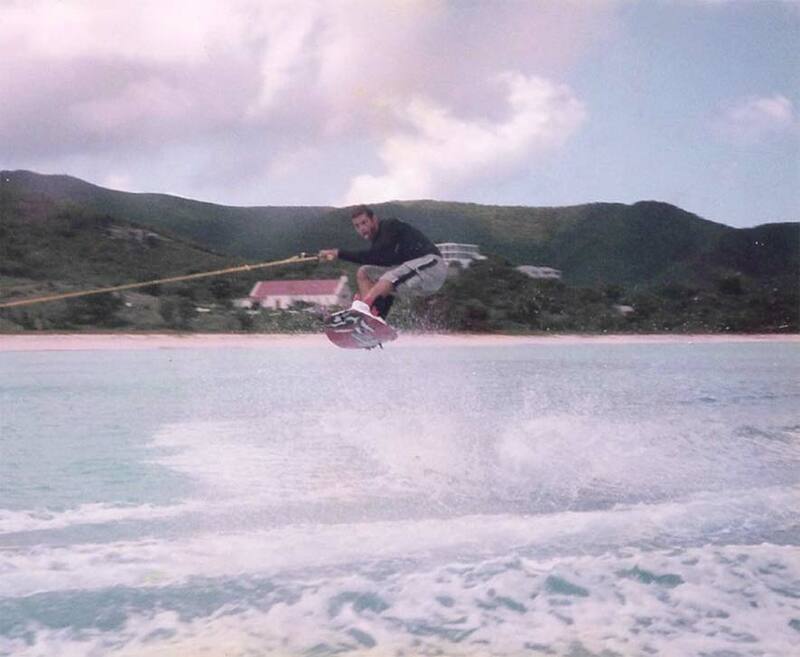 Adam moves to Antigua from Trinidad and immediately gets into skurfing/wakeboarding and other board sports. Lives in the same neighborhood as Dre, where they ride bmx together and become close friends. Dereck moves back to Antigua after finishing studies in Hawaii. It was here that Dereck first met Andre as a young boy, riding around the neighborhood on his bmx. It would be another decade or so before their paths would cross again and they would become friends through common interest in board sports. 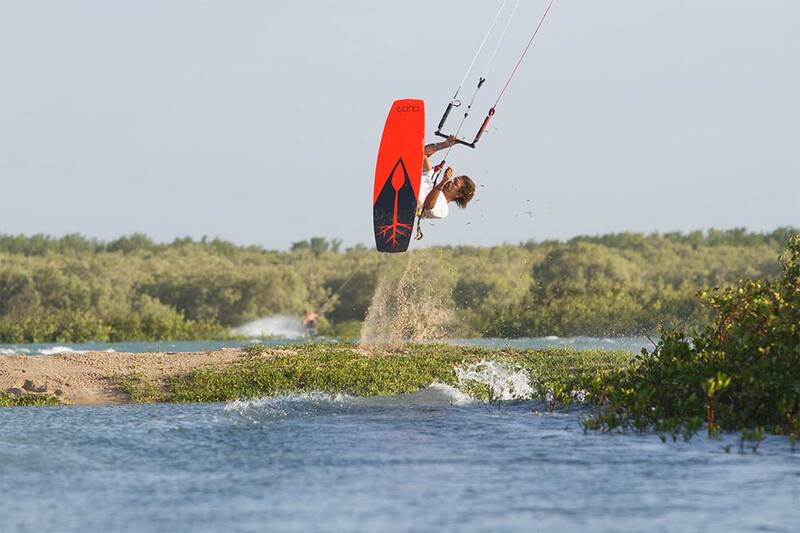 Over the next few years while living in Fitches Creek, Antigua, Dereck would continue flying, windsurfing, and developing his skills at shaping. At the same time, just a couple hundred yards downwind in the sheltered area of the creek, Adam and his friends were spending their days being towed behind a small boat on just about anything they could get their hands on. Unbeknownst to any of them, they would become close friends years later to begin an epic journey. Finally made it to Hawaii! Started competing in the waves and continued to shape on the Lanai. He started flying and was immediately hooked. From there his interest in aerodynamics, hydrodynamics and composites grew even further. 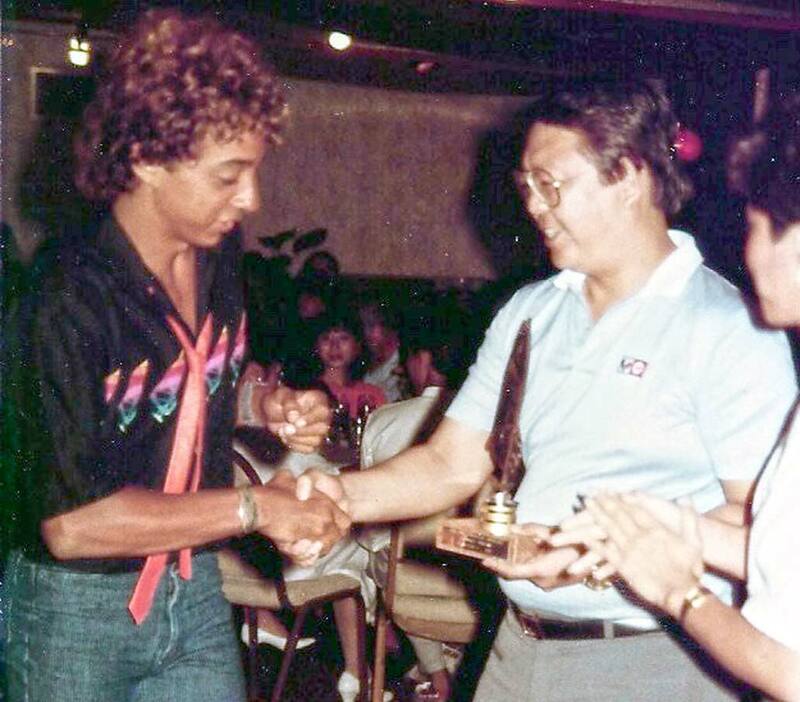 Dereck started windsurfing competitively in Singapore while sponsored by a local Mistral dealer. Shaped his first board at 14 using foam that he ripped from old refrigerators that washed up on shore. From there he dreamed of moving to Hawaii to pursue windsurfing and expand on his interests in shaping.